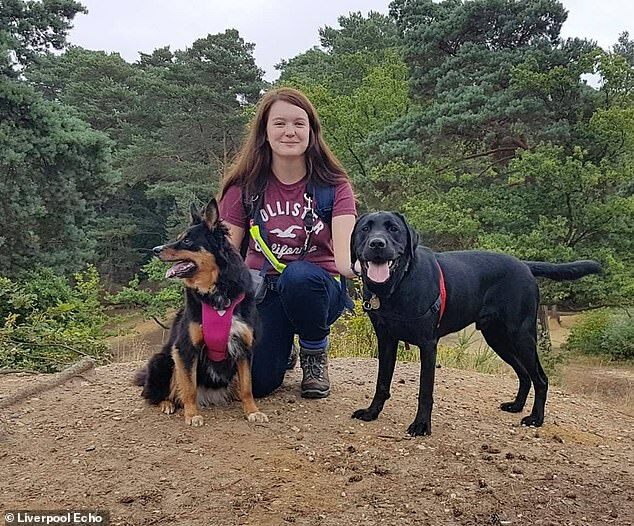 A 22-year-old blind woman was told to get her ‘f*****g dog off this bus’ by a passenger who said it couldn’t be her guide dog because it was black. 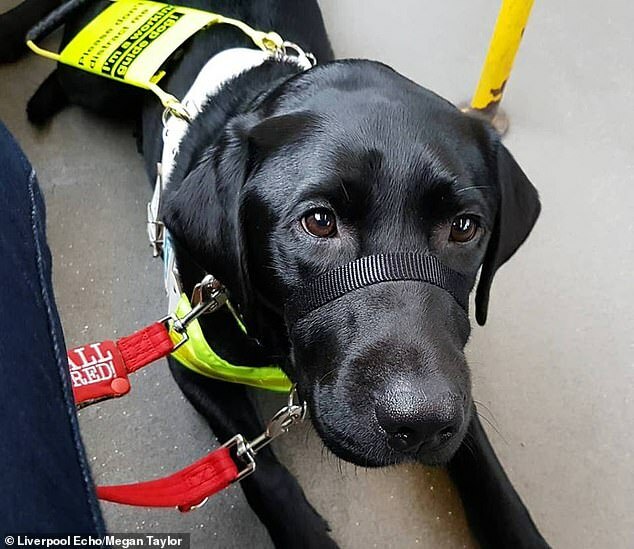 Megan Taylor was on the bus in St Helens, Merseyside, with labrador Rowley when the woman heckled her and claimed he was not a real guide dog due to his colour. 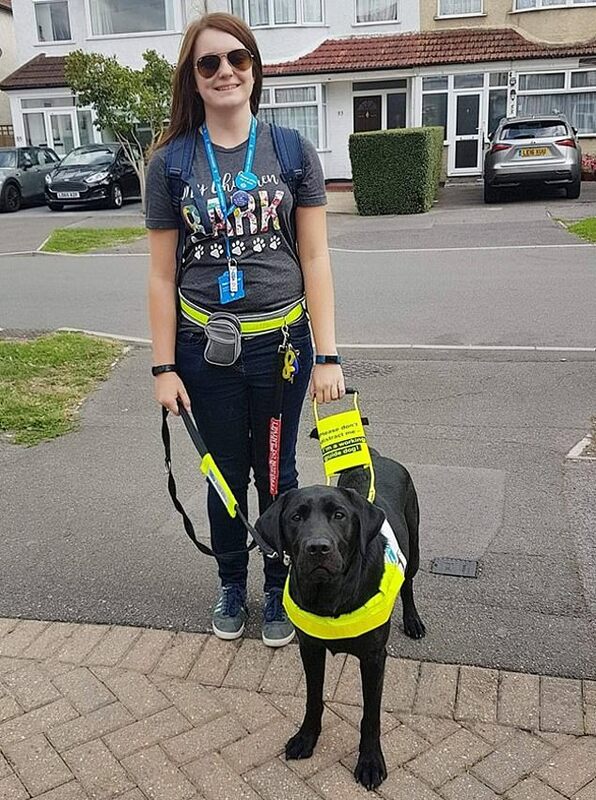 When Ms Taylor tried to explain it helped with her disability, she claims the woman called her a liar because ‘guide dogs are yellow labradors and your dog is black’. Ms Taylor, from St Helens, said: ‘I tried to explain to her that guide and assistance dogs can been any colour and don’t have to be Labradors, although Rowley is. She told me I was wrong. ‘I decided at this point there was nothing I could say to educate this woman and that it wasn’t worth my time. Ms Taylor was left with episodic blindness following a head injury at 15, which also caused hearing loss, impaired balance, fainting attacks and vertigo. Two-year-old Rowley, who is Megan’s second assistance dog helps her with many daily tasks, including getting on public transport, retrieving dropped items, getting undressed, untying her shoe laces and even emptying the washing machine. Ms Taylor revealed she is constantly heckled and regularly assaulted on public transport. She told the Liverpool Echo: ‘I don’t think I’ve ever had a stress free trip on public transport, that’s why I’m so nervous when using it now. ‘On other occasions I have been spat at, stepped over, pushed out of the way and accused of being “another drunk youth” when losing consciousness due to my heart condition and neurological disorder.